Since this is the first time I’m meeting some of my online blog friends for the first time, I thought I’d do the opposite of Wordless Wednesday today and tell you 10 things you might not know about me . I tend to talk about everything Chuy so I thought I’d let you get to know me a little bit better! 1. My “real” name is Aimee spelled the French way with two E’s but I’m not French! It’s a huge pet peeve of mine when people misspell my name even when I spell it out for them! My name is NOT Amy! When I first started blogging I went by my nickname of Mimi for privacy reasons. I will answer to both and some people in the blogging world know me as Aimee and others as Mimi. 2. 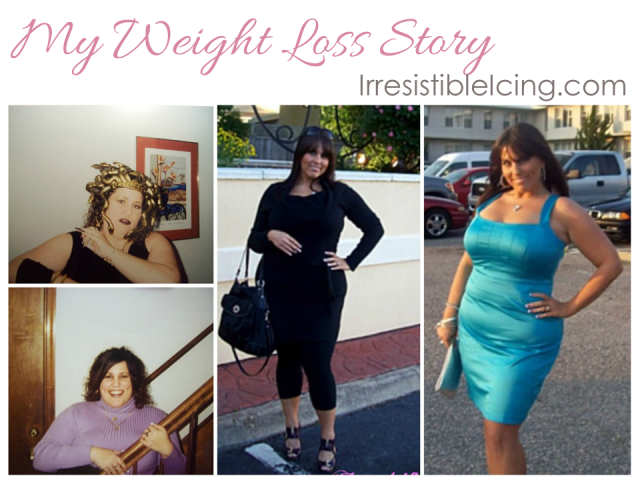 In addition to Irresistible Pets, I also blog over at Irresistible Icing where I talk about my weight loss journey and other “irresistible” things I like. 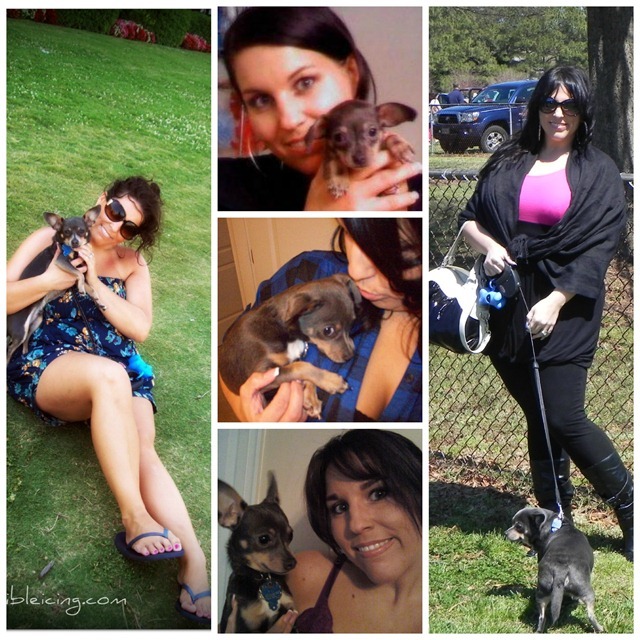 That was my first blog that I started and I was inspired to start a second one once I got Chuy so I could share my love of pets! 3. 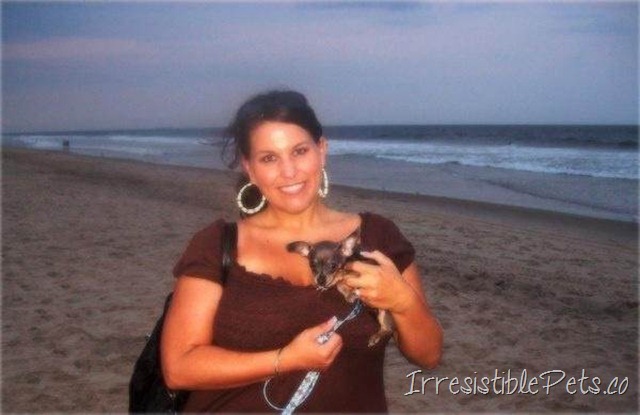 I used to be a travel agent 10 years ago . . .OMG where did that time go?! After that I worked in the travel industry from 2003 – 2010 designing internal communications and then moved into training and certifying other travel agents. 4. I work full-time at my “real job” from home as an Instructional Designer, designing training materials for health insurance. Although, my dream is to become a full-time blogger! 5. My adult drink of choice is always Bacardi and Diet Coke. You won’t catch me drinking anything else at the bar! Ok, maybe the occasional Margarita! 6. My favorite color is purple! Like you can’t tell that from looking at my blog design?! LOL. 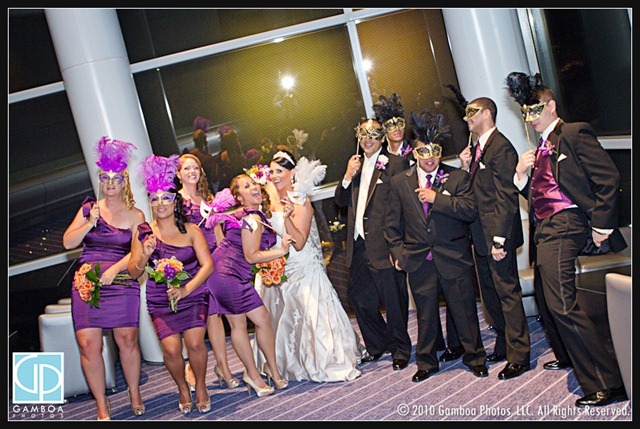 Purple was even one of the main colors in my wedding! 7. I had a Masquerade theme wedding the night before Halloween. It was awesome! If I could relive that night over and over again, I would! 8. Chuy is the first dog I ever owned. As a kid we had all kinds of pets! From horses, rabbits, cats, cockatiels, parakeets, finches, love birds, fish, and the occasional turtle I would find outside and keep for a week or two. This was Chuy as a puppy, the first week we brought him home! 10. I once traveled to Dubai all by myself to meet up with my husband who was deployed at the time. It was scary, exciting, romantic, and one of the best things I’ve ever done! 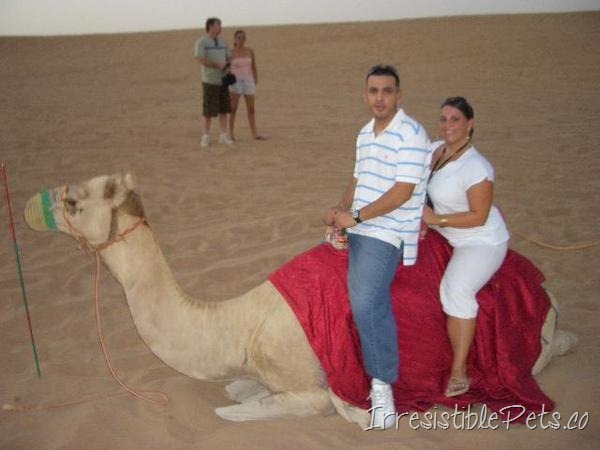 Riding a camel was the highlight of my vacation! What is something that we may not know about you? Leave a comment below! See you at Blog Paws 2013! Have a wonderful time at BlogPaws!!! Can’t wait to hear all about it as I’m sure you’ll post something when you return. 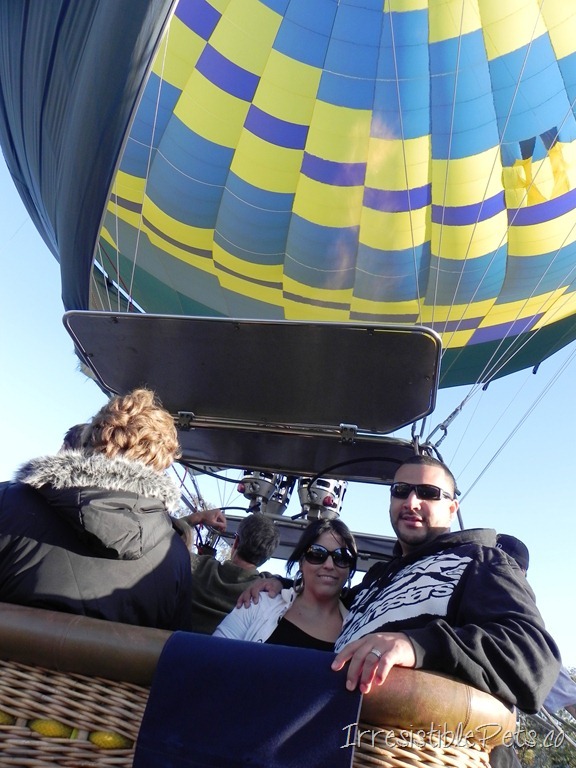 Also, you mentioned not being adventurous until you tried the hot air balloon ride; but, I would disagree and say that the trip to Dubai was definitely an adventure!!! I don’t think I could do something like that. Dubai was definitely an adventure but that’s about as far as I’ll go lol. No jumping out of planes for me!!! It is nice to read about the dog moms every once in a while, even though we are all basically just crazy people. My fave thing about Blogpaws was finally feeling normal about being such an “extreme” pet owner because everyone else there is the same way. Awesome to learn more about you even though I won’t be at BlogPaws – hope you have a great time! First time stopping over, but what a great post to land on! I’m sure you will have a blast at Blog Paws – I went last year and had fun – and you will come back with a lot of great useful knowledge! Actually, I think you have had quite an adventurous life! Have fun on this latest adventure at Blog Paws! !